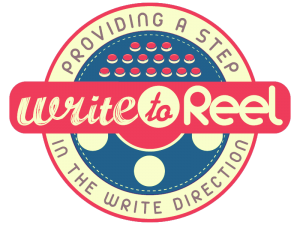 Write to Reals – Tamara (2003): Any lessons we can “dig up” in this old revenge horror script? Pg. 5 – 6 – It’s nice that her editorial has direct consequences on the plot and the other characters and isn’t just there for a throw-away moment. Pg. 19 – I like that Tamera brings this on herself – by messing with dark magic and wanting what she cannot have. Typically it is just an unfortunate person who is bullied and/or killed, but here we have a moral grey-area and Tamera is at least partially responsible for her actions and the consequences. Pg. 33 – This is really just a different twist on the “I Know What You Did Last Summer” plot – a group of friends kill someone and try to hide the body, but the “Dead” Person comes back and picks them off one-by-one. Pg. 39 – This is an effective scene: when Tamera, who was surely dead and buried, breezes into the classroom like nothing has happened. Pg. 44 – 45 – This is a nasty death and a well-written one! Tamera talking about being buried alive and Roger experiencing it while he is sitting in the classroom is visually startling. Pg. 74 – The kills are inventive and I like how they are specific to each character and what we have set up previously – like Kisha eating her own fingers and vomiting up her own literal guts because she is vain about her weight and appearance. Pg. 87 – I like the Final Girl situation with Alison and Tamara having the teens attack her, but I can’t help but feel like if we had spent more time with Alison or if she had been our focus character throughout this would be more effective. Pg. 92 – This is a good example of restraint – not showing us what Tamara is doing/has done to Kisha lets us imagine and that can be more horrifying. Pg. 109 – This is a good – It’s not over! Ending. – Kisha getting the book of spells to bring Tamara back is a good ending point and last note to leave us with. Previous articleGhost Stories – Anthologies, Twists, and…A new Human/Chicken Hybrid?